Peyton Manning Children’s Hospital at St. Vincent was founded on values supporting compassionate, personalized care that is focused on the unique needs of children and their families. Beyond our child-friendly design is the ongoing commitment to provide quality, family centered-care to children from all over the state of Indiana. As a comprehensive, full-service children’s hospital, we offer a complete continuum of care for children- from birth to adolescence. Through our wide range of programs and services, patients have fast access to highly experienced pediatric specialists and advanced technologies. 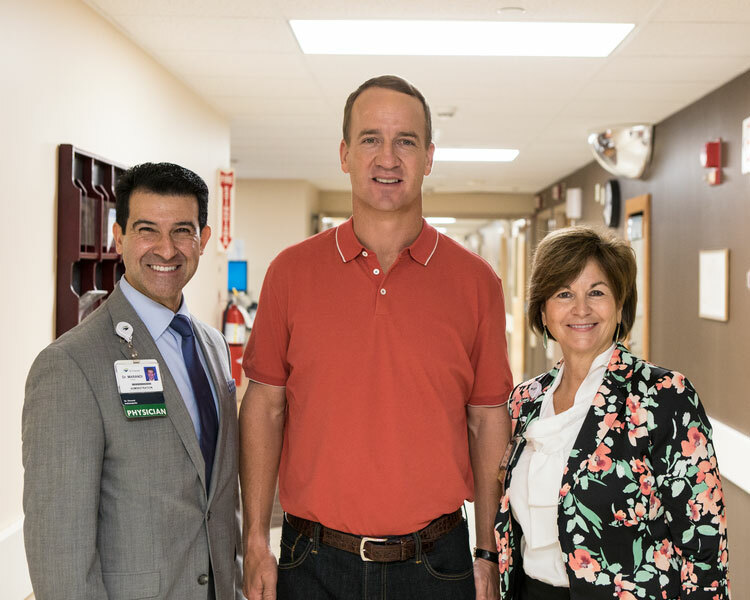 At Peyton Manning Children’s Hospital, patients receive outstanding care provided by top-ranked physicians, nurses, and other multi-disciplinary staff members. I am proud to work with a team of professionals who share a desire to achieve the best possible outcome for every child. I encourage you to explore our hospital website to find out more about our programs and services, our physicians and care teams. You will discover we are committed to the health and wellness of our patients and providing the highest level of care.